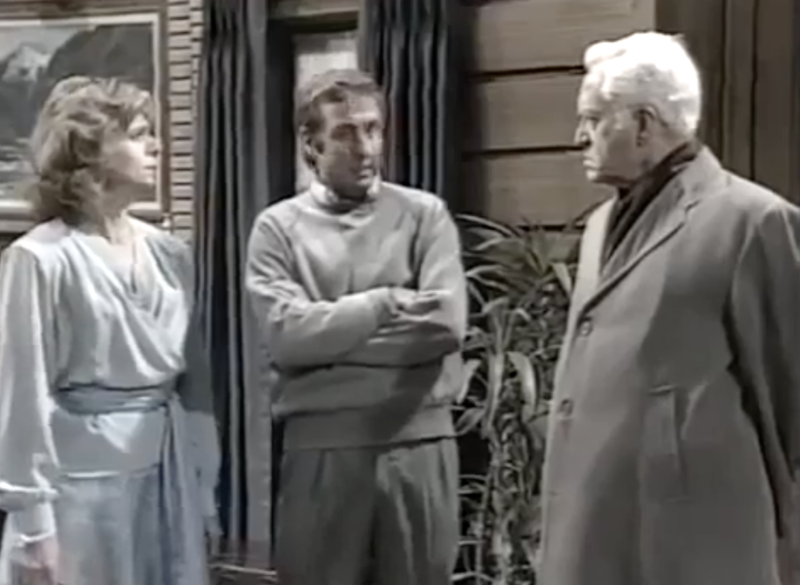 This 1989 NBC show features a married couple who die in an accident, yet their ghosts live on in their house and they have to live with/around the living family that moved into their house after they died and only one member of the family can see them and it’s not Beetlejuice and somehow they still got away with it. In the spirit of fairness, there are a few adjustments to the formula. Ghost Husband Grant (played by Eric Idle) was a professor in life, and his hoity-toity ways conflict with Living Husband Mike who’s an unrefined plumber. 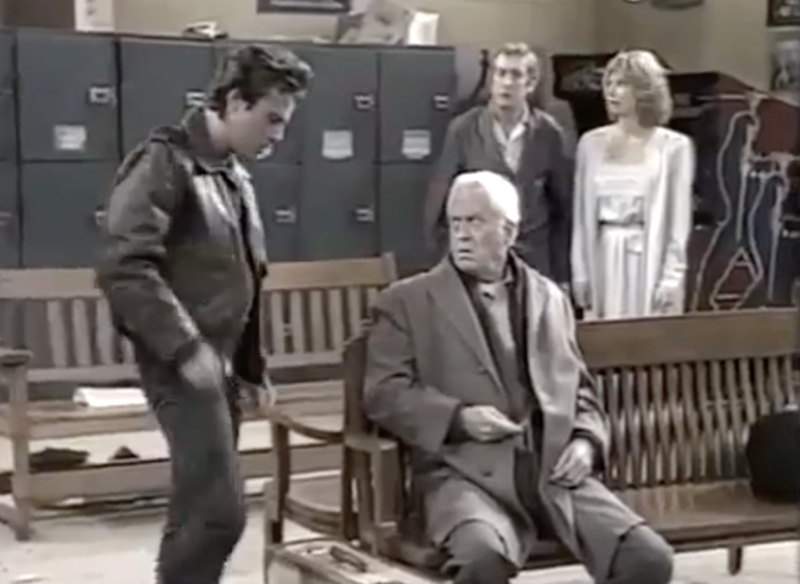 The person who can see the ghost family is not the youngest member of the family (Derek, the super cool teenage babe-hound) but the oldest – curmudgeonly Grandpa Jack. Jack hates Living Husband Mike, too, so he and Grant have some common ground. Also the Ghost couple can apparently leave the house without being devoured by sandworms. 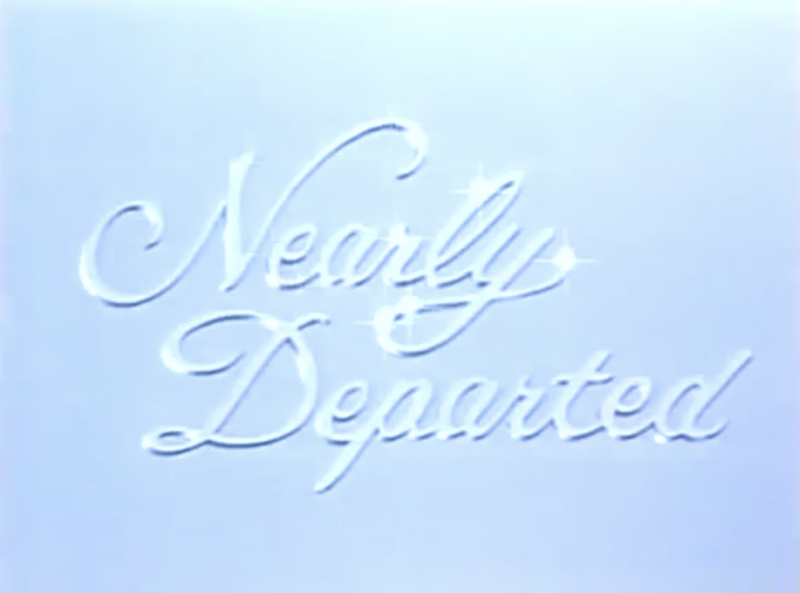 Nearly Departed lasted all of four episodes before being cancelled. Two went unaired. Perhaps it was the too-obvious Beetlejuice draft, but I doubt it. It also directly claimed inspiration from the 1937 Cary Grant film Topper, so there’s at least some admission of its derivative nature. Instead, I think it’s that it just wasn’t very good. Eric Idle’s fine in it, and there are some good bits, but it’s just not very unique in any aspect. The plot lines are typical sitcom tropes and the premise doesn’t do anything to elevate the stories. Also, why would this family have a bed that fit four people and cram into one side of it if they weren’t aware that there was a ghost family next to them? And why would Mike hug Grant and find something tangible at all? Here’s an episode where Grandpa is tasked with babysitting babe-hound Derek, but instead goes off to play poker and leaves the ghosts in charge… hilarity! This 1979 PSA instructs kids how to make a quick breakfast – a “quick fast”, if you will. I’m on board with the idea, but toast with cheese AND peanut butter? That’s weird, right? Also, where does that bowling part fit in to all of this? I’ll take a piece of toast with cheese and peanut butter over whatever this garbage is supposed to be. It’s pretty bad when the commercial won’t even show you the cereal. The vocal on the verse is pretty amazing, though. They don’t make trailers like this any more. There’s something charming about the combination of the uneventful font, the deadpan narration, the blatant ‘this is what the movie is’ nature of the clips and the progression of the trailer’s narrative, and the circus-ringleader copy playing up the robots and Joan Baez. In honor of the recent release of Mystery Science Theater 3000 season 11(!) on Netflix, here are some promos announcing season 2. It’s pretty neat to see the promos reference TV’s Frank as the “new villain”. It’s also neat to see some of the Comedy Channel’s look and feel. Previous Post Five Things – 4.24.17 – Coming Soon, You Angel!